What's Wrong With Learning Piano Off YouTube? Back in my day (1990s), when I took piano lessons I had to do written theory homework every week. At each lesson, the teacher would go over my mistakes before I was even allowed to touch the piano. Back then, I wasn’t just a kid taking piano lessons; I was a young and empowered musician because I knew the language of music. Having theory knowledge was like having a wizard’s spell book where I could create, alter, and control anything I wanted in music. As a piano teacher today, it’s hard to convince parents the importance of music theory, let alone the kids. So much impatience! These days, everyone wants instant results without putting in the effort. Here’s just one example. A couple of years ago, I had a kid come in for a trial lesson. His mom had called the school ahead of time to warn me that he was ‘already a proficient piano player’. She only wanted me to teach him some extra ‘tricks’ so she could get him a booking agent. I was curious if this kid was going to be some genius who could outperform me! At the trial lesson, this young man played me his favourite video game theme song. As impressive as his speedy little fingers were, his song lacked any emotion, finesse, or technique. His playing was nervous and choppy with his shoulders hunched up to his ears. To my surprise, he didn’t know the names of the chords or key signature he was using. He didn’t even know the names of the notes on the piano! That’s when he told me everything he learned came from YouTube. Here’s an example of a YouTube piano lesson. Reminds me the Rock Band video game. He and many other kids I’ve met have found a way to learn nothing more than party tricks by watching close up videos of people’s hands on the piano keys. Granted, he was good at copying sights and sounds but so are parrots. And just like a parrot, mimicking sounds doesn’t mean you have a deep, functional understanding of the complex harmony, rhythm, and melody in music. To the shock of his mom, I put him in a beginner piano book and started him from the beginning. It took months before his mom could understand, let alone appreciate, why I had to put her son in a beginner book with dozens of pages of theory homework every week. Luckily, I convinced her son how important it was and he cooperated. After 18 months of trying to catch his theory knowledge up to his natural ear for music, he is now the most talented student I’ve ever had. Victory! A natural ear for music can only take you so far. 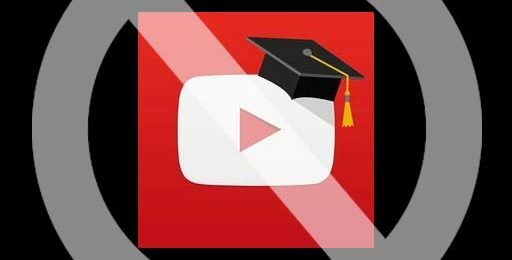 While YouTube videos might offer a couple neat tips and tricks, it can not substitute a thorough, meaningful education. I can’t believe I’m even having to blog about this! Having a thorough understanding of music theory allows you to compose, improvise, read notation, play with expression, and share ideas with other musicians. Music theory isn’t boring once you realise how crucial it is to become a talented, capable musician. So if you’re out shopping for a piano teacher at Elite Music Academy, the first thing you should ask him or her is “do you teach music theory?” Personally, I love the RMC’s Celebrate Theory books – very thorough! The more I ask around, the more I find other music teachers are shying away from pushing music theory because they’re scared of the reactions from students and parents. Therefore, if you ask for music theory directly, they might be pleasantly surprised.